the obsessive imagist | art, design, life: UM . . . YES! UM . . . YES! I am shamelessly preppy, I admit it (I mean, really, I am getting a PhD in Art History). 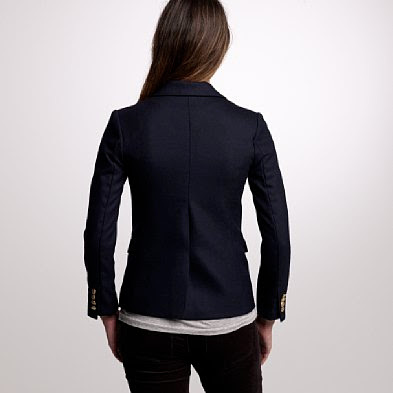 But I take heart from JCrew's styling which makes really preppy pieces--like this adorable school boy blazer--look chic and more like preppy with a twist. I love it. I want it. Too bad the jacket costs $178!